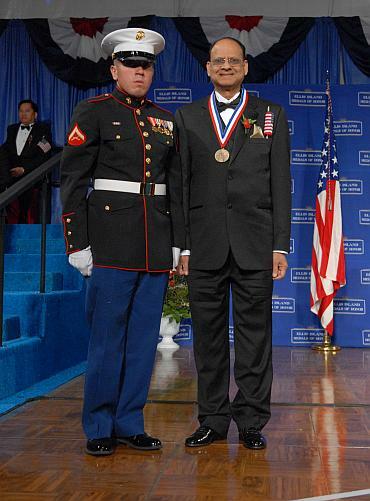 Dr Hemant Patel former president of the American Association of Physicians of Indian Origin got the Ellis Island Medal of Honour. 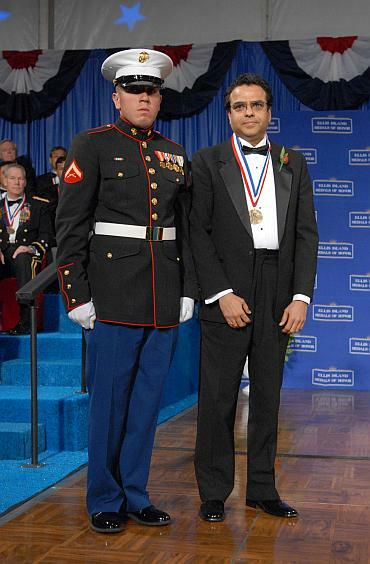 Kappana Ramanandan, president of Hydrox Labs won an Ellis Island Medal of honour. 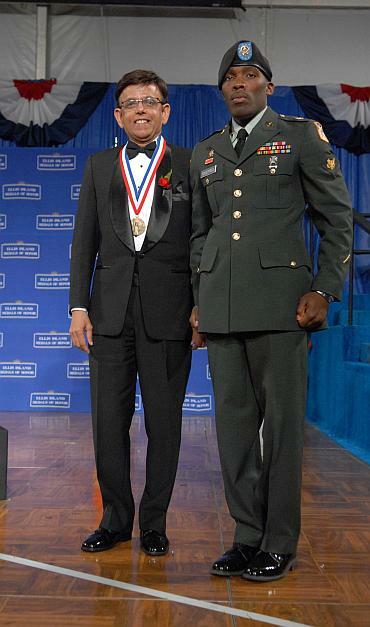 Rao S Anumolu, president & chief executive officer of ASR International Corporation with his Ellis Island Medal of honour. 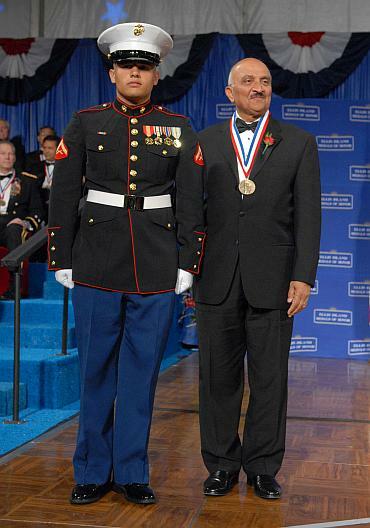 S K Gupta, vice president of operations at Lockheed Martin Systems won an Ellis Island medal of honour. 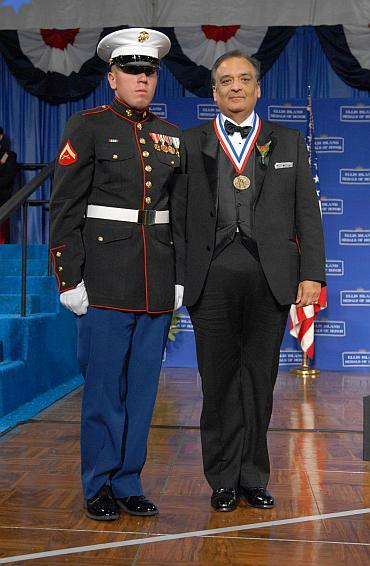 Shekhar Mitra, vice president of Proctor & Gamble with his Ellis Island Medal of honour. 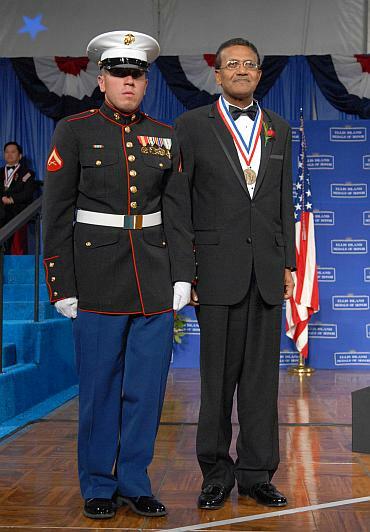 Dr Prasad Srinivasan poses with his Ellis Island medal of honour. 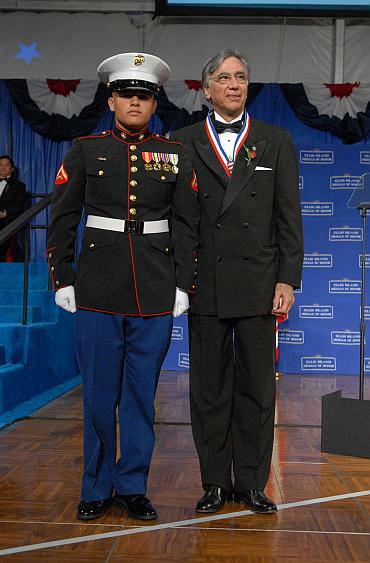 Suraj P Bhatia, president of Technology Consultants Service International, won an Ellis Island medal of honour.